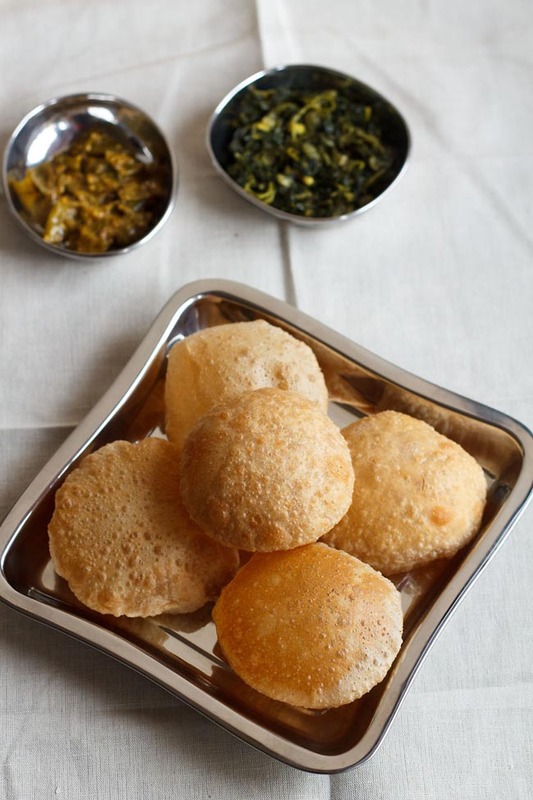 Learn how to make indian poori recipe or puri recipe, (indian flat puffed bread) step by step. 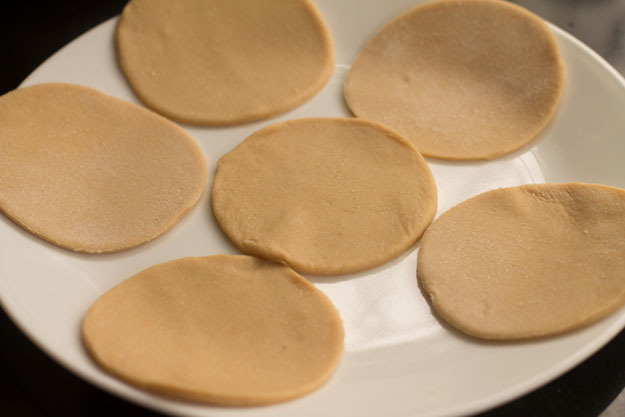 Pooris are unleavened, puffed indian bread made from whole wheat flour, semolina then deep fried. The pooris are crisp from exterior but soft within. 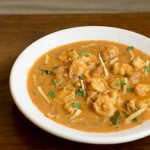 My mom used to make aloo bhaji with hot puris for lunch and quick snack. She still makes them and this is her recipe. 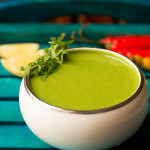 I love to binge on pooris with veg korma, chole and desserts like kheer or shrikhand. If you are making pooris for the first time, then be patient. 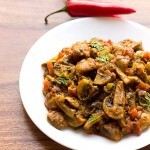 As you will master the art when you make pooris several times. 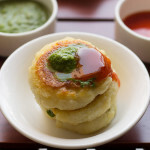 But I will share the secret in the post how to make puffed pooris. This secret was shared by my best friend Janki. Poori bhaji and shrikhand poori has been my favorite since my childhood. I am sure you also love hot puris? don’t you. Post our lunch whenever pooris were leftover we used to have them as a snack with tea or coffee. 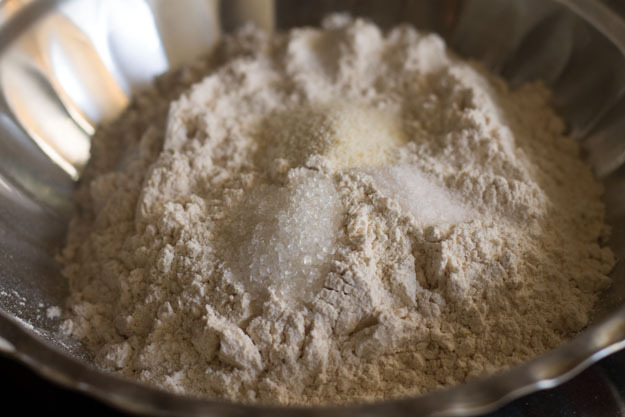 Take 2 cups of whole wheat flour in a mixing or thali. 2. Add 2 tablespoon of semolina. 3. Also sprinkle 1 teaspoon salt and 1 teaspoon of sugar. Mix all well. 4. Make a small well and pour 1 tablespoon of oil. 5. Add 2/3 cup of water. 6. 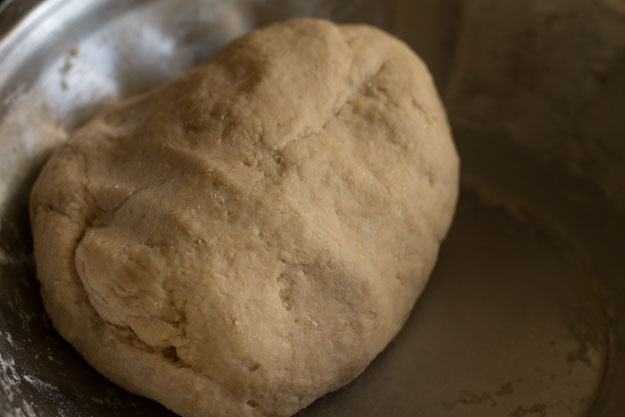 Start kneading into a dough with all the stamina. 7. Knead into a firm and smooth dough. 8. 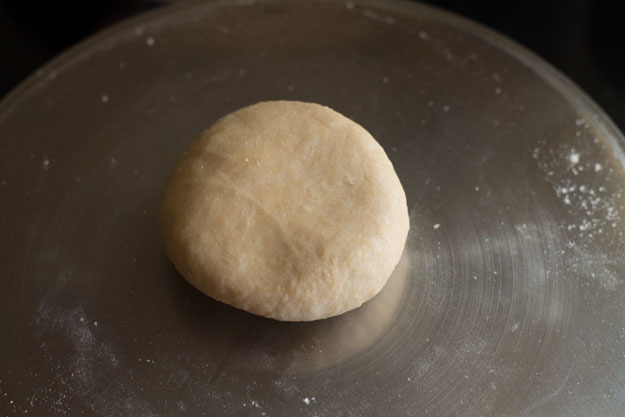 The dough has to be firm and not soft for pooris, so take care while adding water. 9. Cover the dough with a linen cloth or vessel. 10. Allow the dough to rest for 10-12 mins. 11. 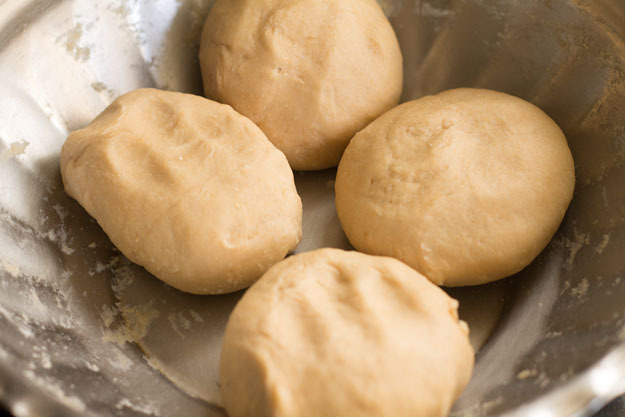 Make 4 ball of equal size from the dough. 12. Dust some flour over the surface area. Roll the dough with a pin roller. 13. Roll into 6-7 inch diameter and should be little thick then the chapati. Just ensure the dough doesn’t have any cracks. Also one key factor when you roll the dough always roll from one side, don’t flip and roll from reverse side. As when you only use one side to roll for making pooris or chapatis they become soft and fluffy. Also this way it will have minimal or no cracks. 14. Now take a small metal bowl or a lid, press gently. Alternatively you could make lemon sized balls and roll into a 2-3 inch diameter. Gather the edges and add in the dough. Repeat the same with the rest of the dough. 15. Similarly make puris and cover them with a cloth so it doesn’t dry out. 16. 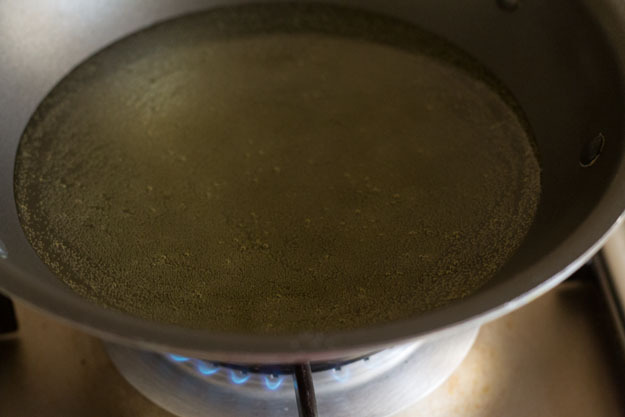 Heat 3-4 cups of oil in a deep pan. 17. The oil has to be hot enough for the pooris to puff. 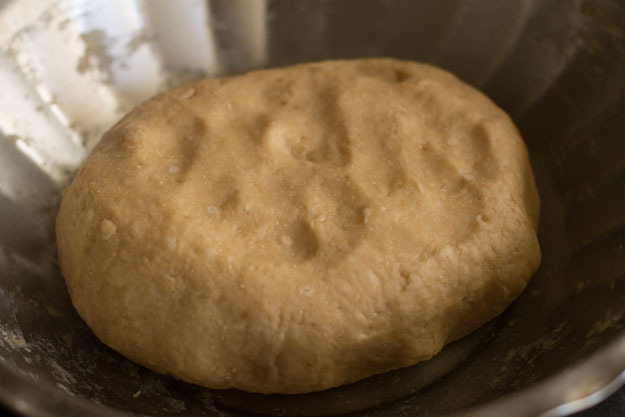 Do a small test by adding a tiny piece of dough if it rises then the oil is ready. Fry 1-2 pooris at a time. 18. Add 1-2 pooris at a time, so they evenly fry. As soon as you fry the pooris they will rise up. 19. 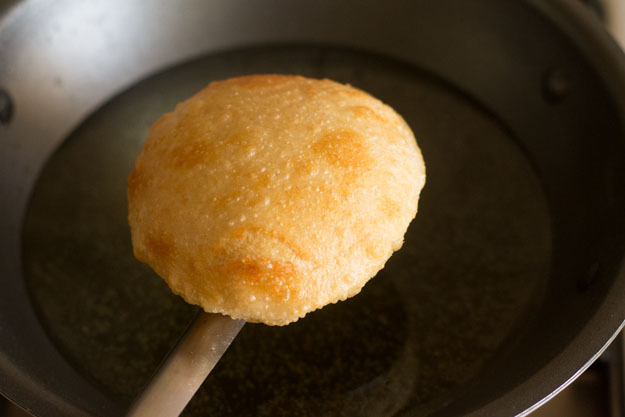 At this time gently press the side of the pooris with the back of spatula or spoon. This will help the pooris to puff evenly. 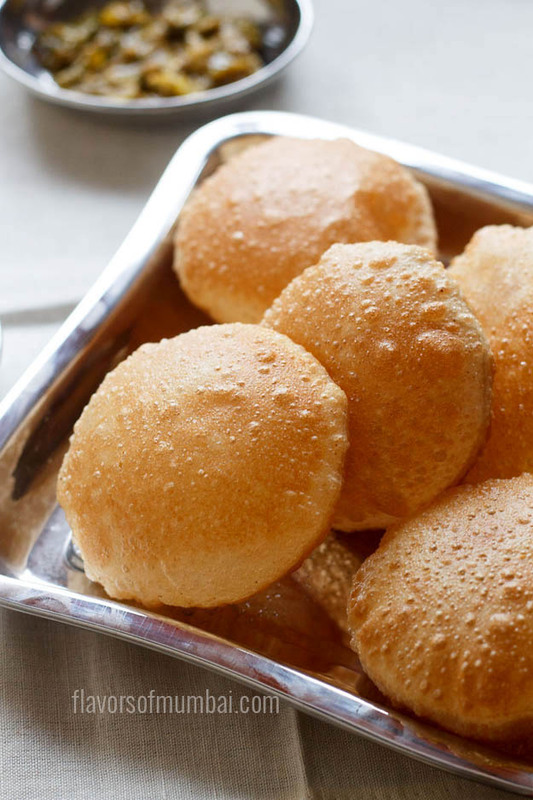 Don’t put too much pressure else the poori might crack. 20. The pooris will fluff. 21. Now flip and fry until they appear crisp and golden brown. 22. Remove the pooris with a slotted spoon. 23. 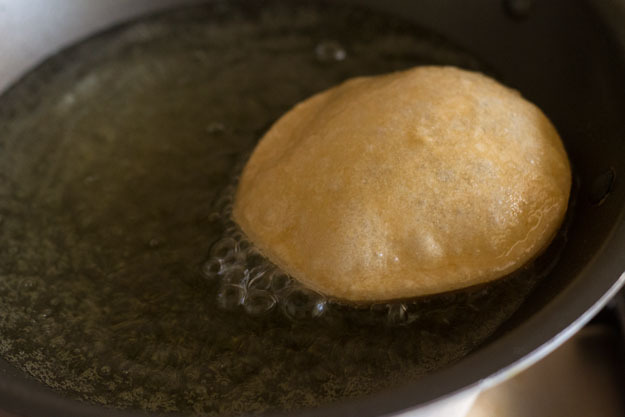 Place the fried pooris on absorbent napkins, to remove excess oil. 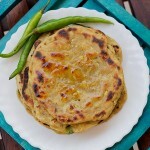 Serve hot pooris with sabzi, shrikhand or aloo sabzi. 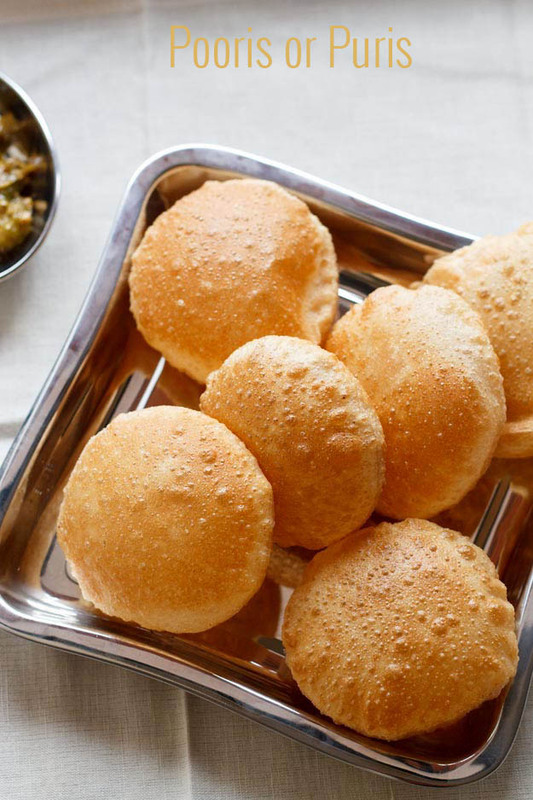 Learn how to make indian poori recipe (indian flat puffed bread) step by step. 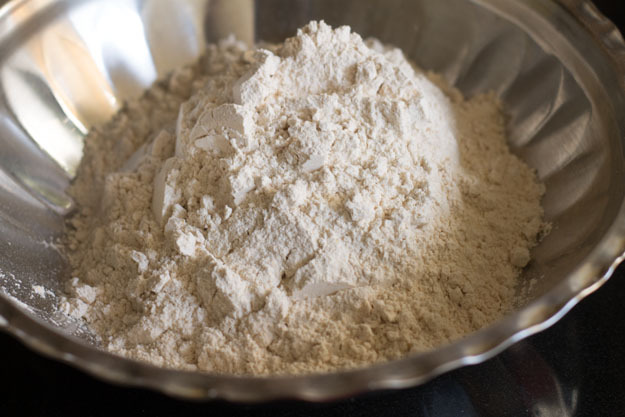 Take 2 cups of whole wheat flour in a vessel or thali. Add 2 tablespoon of semolina. Also sprinkle 1 teaspoon salt and 1 teaspoon of sugar. Mix all well. 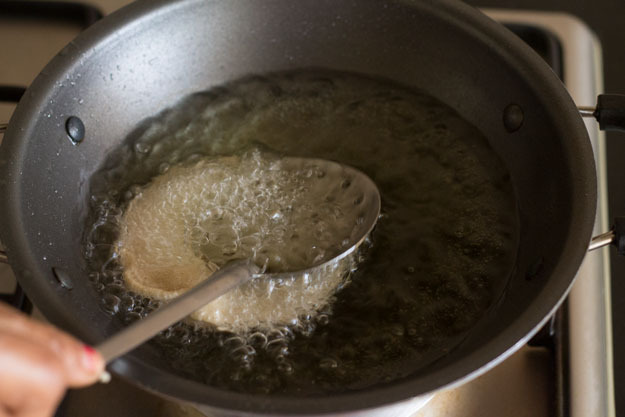 Make a small well and pour 1 tablespoon of oil. Add ⅔ cup of water. 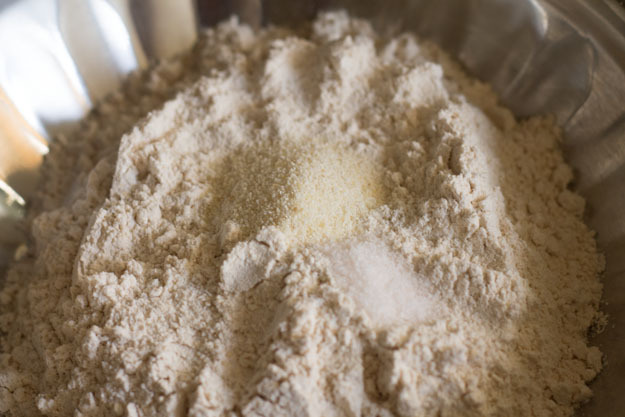 Start kneading into a dough with all the stamina. 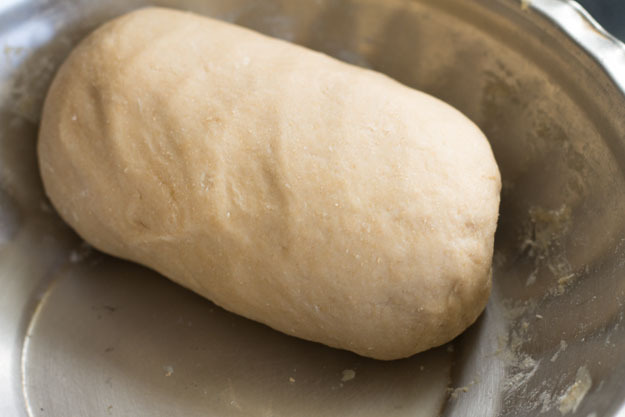 Knead into a firm and smooth dough. 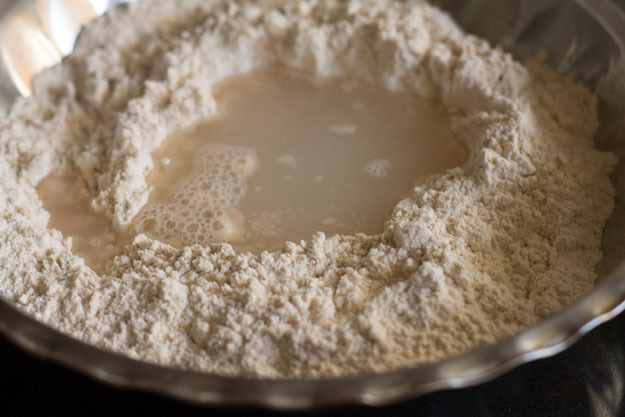 The dough has to be firm and not soft for pooris, so take care while adding water. Cover the dough with a linen cloth or vessel. Allow the dough to rest for 10-12 mins. Make 4 ball of equal size from the dough. 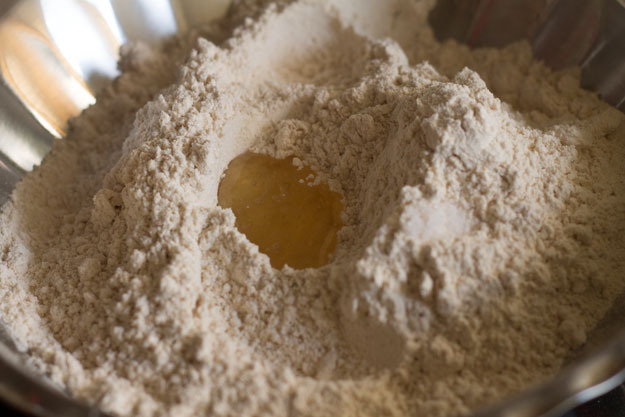 Dust some flour over the surface area. Roll the dough with a pin roller. 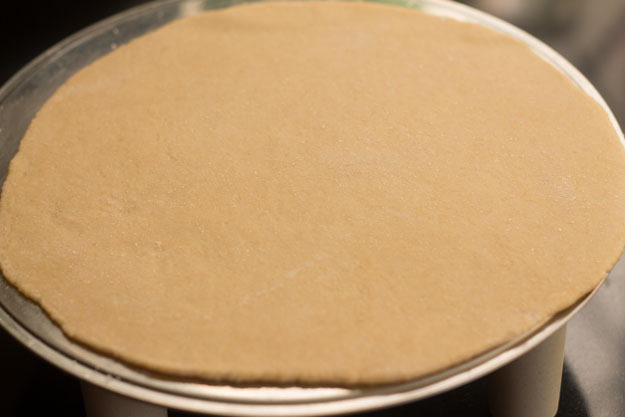 Roll into 6-7 inch diameter and should be little thick then the chapati. Just ensure the dough doesn't have any cracks. Also one key factor when you roll the dough always roll from one side, don't flip and roll from reverse side. As when you only use one side to roll for making pooris or chapatis they become soft and fluffy. Also this way it will have minimal or no cracks. Now take a small metal bowl or a lid, press gently. Alternatively you could make lemon sized balls and roll into a 2-3 inch diameter. Gather the edges and add in the dough. Repeat the same with the rest of the dough. 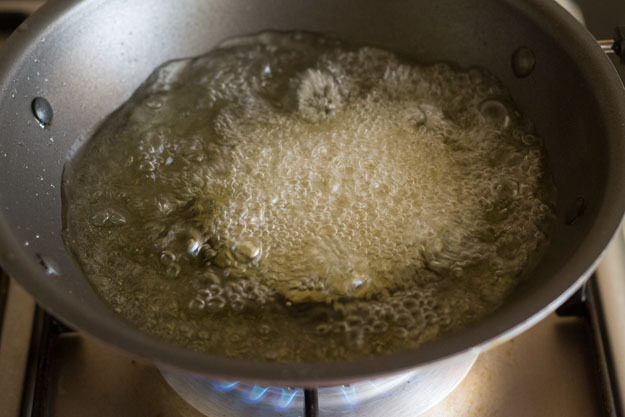 Heat 3-4 cups of oil in a deep pan. 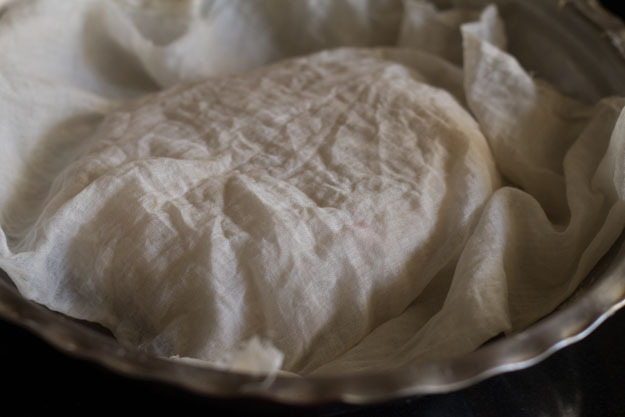 Similarly make puris and cover them with a cloth so it doesn't dry out. 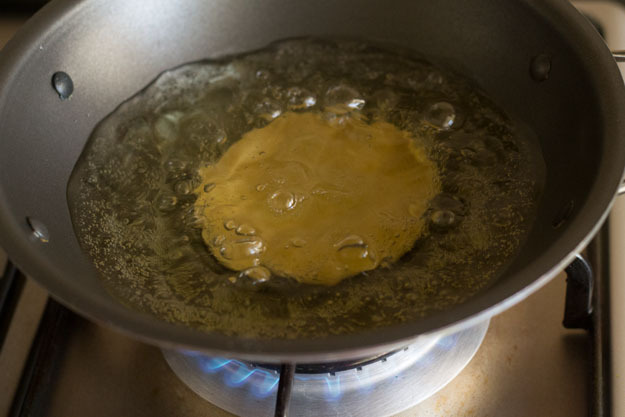 The oil has to be hot enough for the pooris to puff. 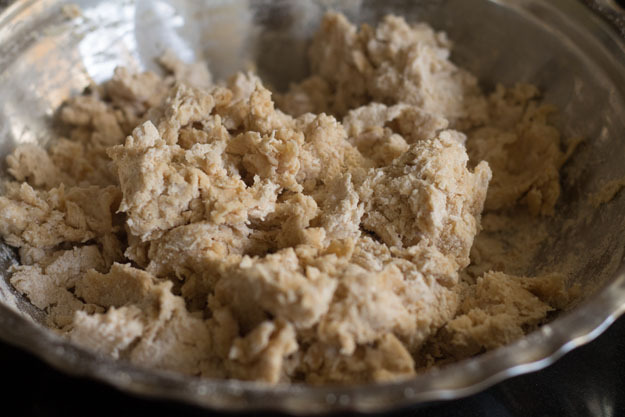 Do a small test by adding a tiny piece of dough if it rises then the oil is ready. Fry 1-2 pooris at a time. Add 1-2 pooris at a time, so they evenly fry. As soon as you fry the pooris they will rise up. 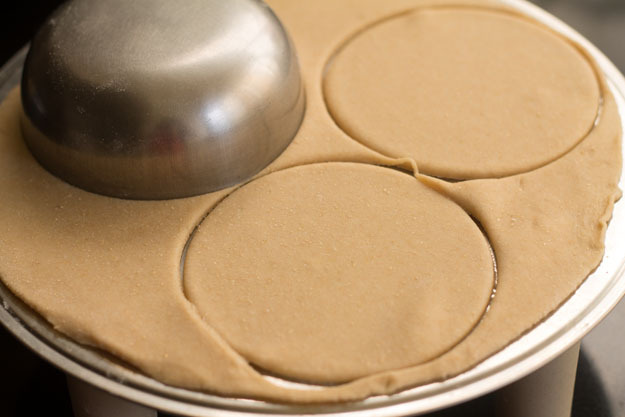 At this time gently press the side of the pooris with the back of spatula or spoon. This will help the pooris to puff evenly. 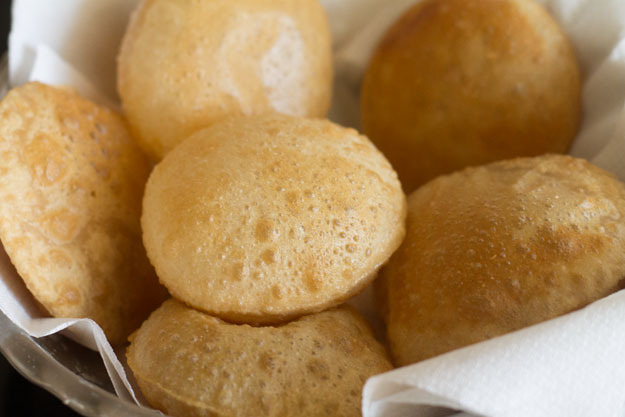 Don't put too much pressure else the poori might crack. Now flip and fry until they appear crisp and golden brown. Remove the pooris with a slotted spoon. 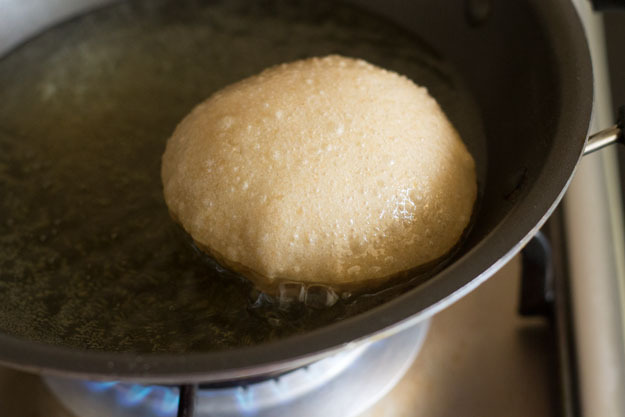 Place the fried pooris on absorbent napkins, to remove excess oil. I made the poori recipe today and they turned out so good. Thank you. Thanks Daisy for positive feedback, glad you liked the pooris. 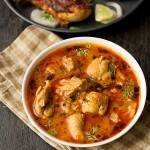 Hi Maria, Your recipe was wonderful. Tried it a couple of times. Thanks for sharing. Thanks Divya for positive views, glad to know you liked the poori recipe. You are always welcome.